It's only been a few days.. but I apologize for the delay in the announcement. Surprisingly, none of you have made me kulit about it hehe.. I've been a little swamped at work recently, which is why Rina has been helping me out with posts (Otherwise I'd be posting once a week only: ( sniff.. hehe), Nonetheless I woke up early to write this! I will email you within the week so we can coordinate when you may pick up your GC's from RACK'S Ribs. If you didn't win, fear not, because Rina's Rainbow will be having a Rack's GC Giveaway of her own soon, so make sure you follow her Facebook Page for updates on that! I'm also starting a new Anniversary giveaway within the next few days... And trust me, its also something you won't want to miss!!! Explore BGC with BGC Eats! The Asian Food Channel presents Chef Aaron Craze! COCO ROYAL NOW IN THE PHILIPPINES! QUICK RECIPES WITH MEGA CREATIONS SARDINES! 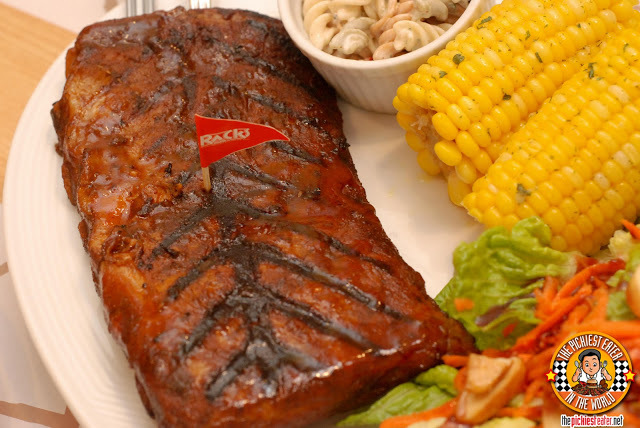 THIRD ANNIVERSARY GIVEAWAY #2: RACK'S RIBS!